With such a successful watersports industry, it’s no surprise that Wales has a comprehensive array of marine services available. 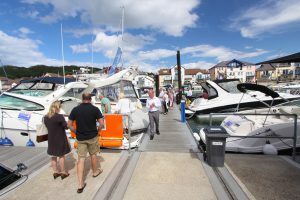 Everything from berthing and storing, sales and repair, clubs and training centres is covered. What’s more, Wales is one of the more affordable locations for boating in the UK. And it boasts such a spectacular coastline and beautiful inland waterways. It’s a great place to get on the water – with all the services you need to stay there and enjoy yourself! This section lists independent suppliers of marine services.